I assume that you are referring to the main door lock The lock is likely to be a Caraloc 640 with an MC key, spare barrel ref. 130205. 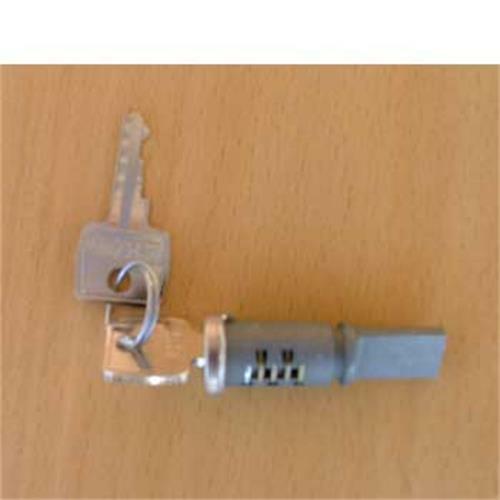 The alternative is the Caraloc 2000, with a WD key, spare barrel ref 134960.